If you like Solitaire (also known as Patience and Klondike), you’re going to love this game! This SOLITAIRE is the Best Classic Card Game. A game of Patience with beautiful looks, smooth game play with real tough deals as well as guaranteed winning deals to solve. Solitaire Patience is the most popular card game of all time. This Classic card game of Patience by BlackLight Studios is coming soon on iTunes App store on the iPhone, iPod, and iPad. You’ll love the design of Solitaire Patience cards. They are big and clear to see with eye-pleasing colours. Play Solitaire Patience. It’s lots of fun, no glitches, easy to play, understand and navigate. 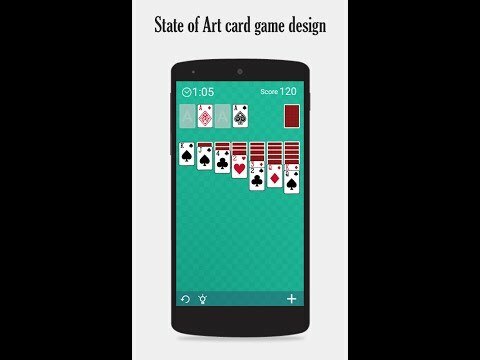 Solitaire Patience is a Free HD game is designed with NO disturbing or intrusive ads to interrupt your game play time. Moreover, you can go ads free easily too. Play Solitaire Patience card game for free whenever you like- at work, subway, home or those dull moments. Proudly share your milestone achievements and make your friends envy! It keeps track of your stats so you can challenge yourself with each new game. It's a huge hit amongst classic card game community and forums. Play it before you go to bed!